Polystyrene is a hard, stiff and transparent thermoplastic -- a plastic that softens on heating -- produced by the polymerization of the petrochemical styrene. It is a common plastic used in everyday life for packaging, insulation, toys, housings of electrical appliances and construction. This plastic is straightforward to process and easy to recycle. The term "polystyrene" refers to a large group of plastic products that are derived from the styrene monomer. Expandable, or expanded, polystyrene is a lightweight material that can be molded or foamed and used in packaging, insulation and construction. Acrylonitrile, whose full name is acrylonitrile butadiene styrene, has a high thermal and chemical resistance and is used in medical and electrical equipment, house wares, and connectors in polyvinylchloride ducts and piping. Polyester resins made from styrene, called polystyrene, are used to construct components in boats, automobiles and electrical products. Styrene butadiene is a synthetic rubber. Expanded polystyrene is very lightweight but also very bulky and difficult to handle in large amounts. Its advantage is that it can be mechanically ground into tiny beads, or larger granules called "peanuts" that occupy a smaller volume for the same weight. These beads can be added as an aggregate into concrete to make lightweight building blocks or used in packaging. They can also be heated, molded and extruded to create new products such as food packaging, coat hangers, fencing, flower pots, toys and light furniture. Polystyrene and acrylonitrile are types of polystyrene resins also called "black plastics." The large variety of colors and grades of these plastics make them time consuming to sort, and also to clean if they have been used in food packaging. Once this sorting and cleaning process is complete, the plastics are heated and extruded into pellets. These pellets may be reformed at a later stage to make consumer products, construction material and vehicle parts. Depolymerization is a chemical method of reducing polystyrene to its original styrene monomer. This monomer can be used to create virgin polymer or other products. Lanny Schmidt, Professor of Chemical Engineering and Material Science at the University of Minnesota, has pioneered a chemical recycling method for polystyrene in a continuous and economically feasible process. Ground particles of polystyrene are fed into a reactor and heated with hydrogen. Here they come into contact with a catalyst and heat up, becoming a gaseous stream of styrene that is removed from the reactor. Trials have shown that this process has recovered up to 80 percent of the original styrene in the polymer. Kielmas, Maria. 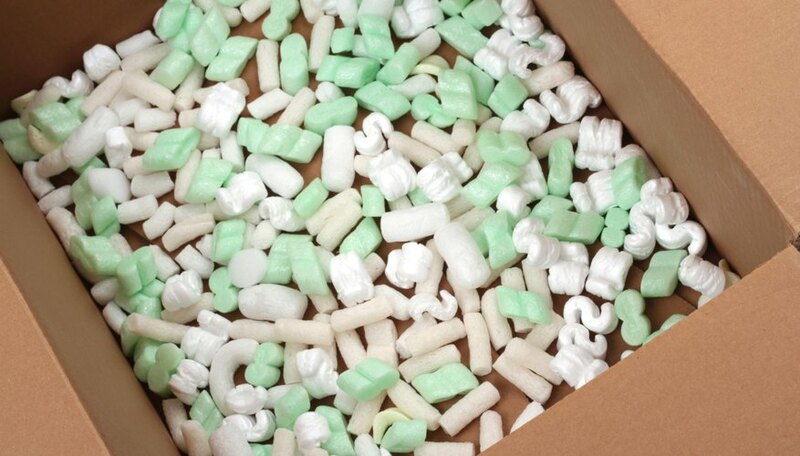 "How to Recycle Polystyrene Foam." Sciencing, https://sciencing.com/recycle-styrofoam-4588564.html. 24 April 2017.